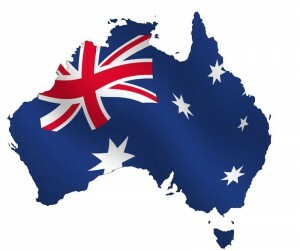 As many of the people reading this blog will already be aware, on June 7th, 2012, I received an email from my Australian Immigration Case Officer informing me that I had been granted an Independent Skilled Migrant Visa for Australia – also known as: Permanent Residency. This was HUGE news! But there was just one itsy bitsy little catch which has had huge ramifications for the Tour de Zack y Tony: To accept my permanent residency, I need to re-enter the country before April 2013. Damn! Tony and I now had a deadline. A deadline for the Tour de Zack y Tony. Traveling without a deadline is a beautiful thing because it negates one of the three great limiters of traveling – Time – and allows you to embrace the opportunities that the road tosses at you along the way. months or could take years” and that once we got there we would… uh… do something. Continue on bicycle down to Argentina? Work in Colombia? Buy a donkey to travel Peru and Bolivia? Go visit the brother in NY and work there for a spell? The possibilities were endless. The bloody Aussies though had thrown a spanner in the works – even with a deadline 10 months away – and in the weeks that followed the big news, I felt the spirit of the Tour transforming as I started to make plans. Mid to Late March – Arrive in Australia. Obviously, sailing across the Pacific relies heavily on my being able to find a sail boat that will have me. I will be in the right place at the right time – so it’s a very real possibility – but I also have a relatively tight time frame that drastically reduces my chances. I put my odds at finding a boat at about 50%. If I do not find a boat. I will be flying back in mid-March, which leaves me two months free to do… uh… something. That something will be largely determined by the third and final great limiter of travel: Money. Needless to say, 18 months of traveling without working is a very very effective way to run your bank accounts dry. Quick – come on back and fix up Fair Rover and sail to Austrailia. Haha, if I did THAT I’d never make it to Australia in time!